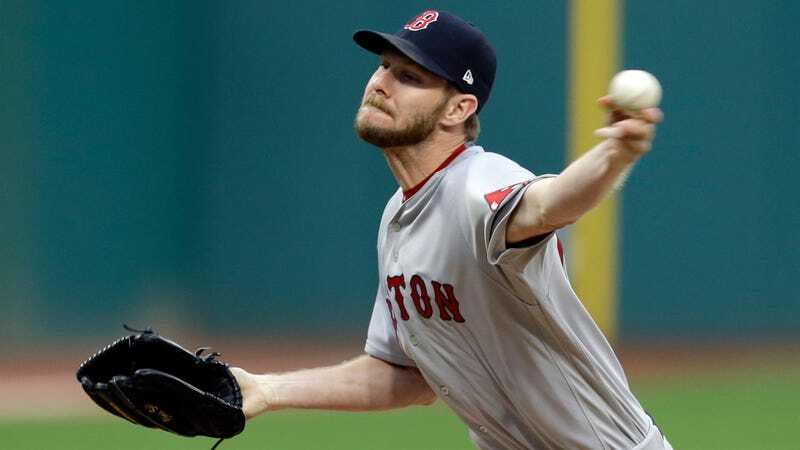 Chris Sale pitched against the Toronto Blue Jays last night, and he struck out 11 batters in seven innings in a 3-0 win. “Struck out 11 batters” doesn’t quite describe what happened on that field, though. It’s more accurate to say that Sale demoralized 11 batters. Have you ever seen so many feeble swings and pained takes in one game? It looked like the Blue Jays were swinging pool noodles; it looked like someone was shining a laser pointer in their eyes; it looked like they all had really bad diarrhea and were desperate to get out of the box as fast as possible. This was a quintessential Chris Sale start, and a fitting one for him to become the fastest pitcher (in terms of innings pitched) to reach 1,500 career strikeouts. He’s 28 years old and thus far has shown enough durability to put the 3,000-strikeout club in his sights. Barring injury, this will be Sale’s fourth season with 200 or more innings pitched and his fifth consecutive season with at least 200 strikeouts. Sale is more dominant this year than he’s ever been. After his strikeout rate dipped to 9.3 per nine innings last year, he has raised that mark to a career high 12.8 per nine. As always seems to be the case, this puts him very close to entering a realm of pitching dominance only occupied by Randy Johnson and Pedro Martinez: Those are the only two pitchers to have pitched at least 150 innings in a season and struck out 13 batters per nine. (Martinez struck out 13.2 per nine in 1999, and Johnson sat down 13.4 per nine in 2001.) Sale has spent much of his career nearing milestones set by Martinez and Johnson—he took yet another run at Martinez’s nine-game streak with 10 or more strikeouts this year, and once again came up just one game short of tying it—and even if he doesn’t crack the 13 K/9 mark this year, would you bet against him getting there in the future?